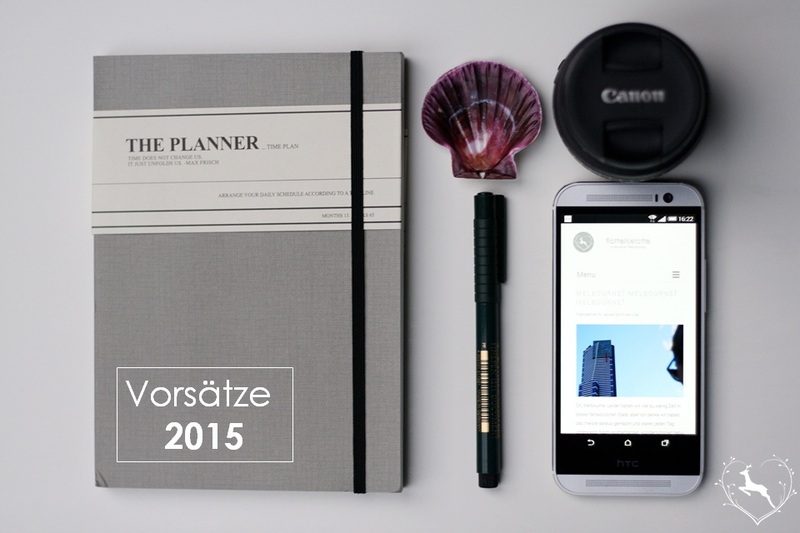 Ich weiß, wahrscheinlich seid ihr von den ganzen Meine-Vorsätze-für-2015-Bloggerposts seit Anfang Januar schon genervt, aaaber das hält mich nicht auf! Wie sehen eure Vorsätze aus? Sind sie ähnlich? I know you’ve probably read a million My-resolutions-for-2015-posts on the net since the beginning of January, buuut that’s not gonna stop me showing you mine! 2015 will be a year of change and blogging for me. I had hoped to create a virtual creative outlet with flotteliselotte and am happy to do so since the end of October/ beginning of November. As the blogger beginner that I am, I have a lot to learn, plan and develop this year. But my resolutions won’t only have to do with blogging but some personal things too (some of them may sound strange to you) that will not only challenge me but please me as well. How do your resolutions look like? Are they similar?